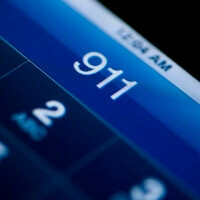 The four largest US carriers have agreed to spearhead the text-to-911 project of the FCC. There were rumors way back in May that Verizon would allow subscribers to text for help instead of call, and now we get the news that the system will be deployed next year, with nationwide coverage completed by May 2014. 911 call centers don't have the gear to accept text messages at present, so the texter will actually receive an automatic reply urging them to call, but texting surely has advantages, too, like in situations you have to be quiet. Trial runs are already underway for AT&T in Tennessee and for Verizon in Vermont and other states, and David Tucker, the executive director of Vermont's Enhanced 9-1-1 Board, commented: "Those who can't make a voice call should have the same right to interact directly with our emergency system. Finally, there is a means for those individuals to do so."